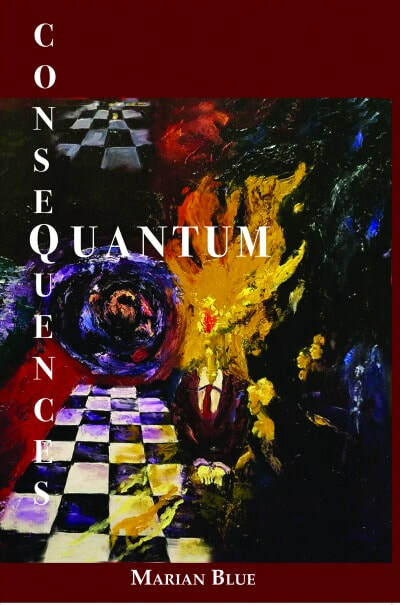 Marian Blue’s award-winning writing has appeared internationally for 45 years in newspapers, magazines, and books, including her own book of poetry How Many Words for Rain, her non-fiction humor book Interpretative Guide to Western-Northwest Weather Forecasts, and a science fiction novel Quantum Consequences released in 2019. She is also co-author with JoAnn Kane of a biography from Amphora Editions, Artie Kane: Music to My Years, Life and Love Between the Notes. She has edited many publications (including books--Sea of Voices, Isle of Story and Southeast Writers Handbook–and magazines–One World Journeys online and Soundings Review as founding editor). Blue has taught writing for Community Schools in Portland, Oregon; Old Dominion University in Virginia; and Writers Digest Schools. 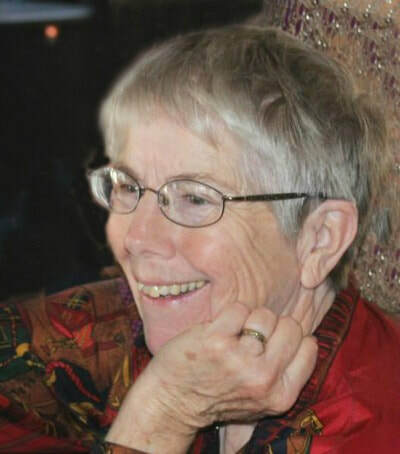 She also taught writing, literature, and communication for 20 years at Skagit Valley College, WA before retiring in December 2015. She currently writes and edits through Blue & Ude Writers Services and Sunbreak Press from her small farm on Whidbey Island, WA. What if you discover that you aren’t human? That your parents aren’t your parents? That you’re expected to save the world? Vala, who talks to animals, and Eric, who reads individuals’ thoughts, believe they’re just oddball humans. Their beliefs and lives shift forever when a transparent figure haunts their lives. When they finally make contact with the mysterious visitor, they learn they must give up everything and try to save not one but two Earths. Challenges to Alpha Earth, 2029, include environmental devastation and political demagogues. A greater threat looms over unaware residents: collision with another Earth threatens annihilation. Beta Earth residents have begun to realize the Membrane separating the two Earths is failing. Not only has Beta Earth lost its status as a sanctuary created by gentem–genetically divergent from homo sapiens–the threat of collision now endangers both Earths. The gentem have to find a solution to save at least one of the planets and at least one of the species. Which Earth should they choose? Which species? The questions force them to try to connect with the two children they abandoned on Alpha Earth 29 years earlier. The existence of both planets depends on what the children have to say. 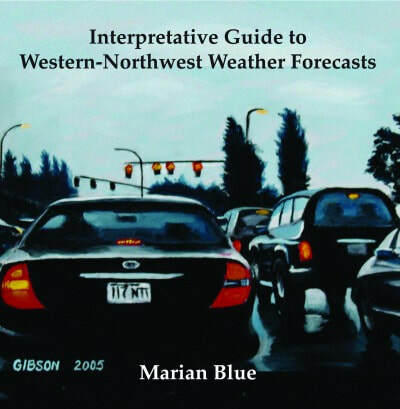 Author Marian Blue ironically considers the many ways forecasters can predict rain without saying that word. Terms are listed and defined. Color photographs, paintings, and graphics provide clarity and beauty to explanations. Also discussed is a bit of history, from the days when in-comers to the region were discouraged to the more welcoming culture of today. Terms and descriptions are enhanced through the wonderful photographs, paintings and sketches of the many artists. 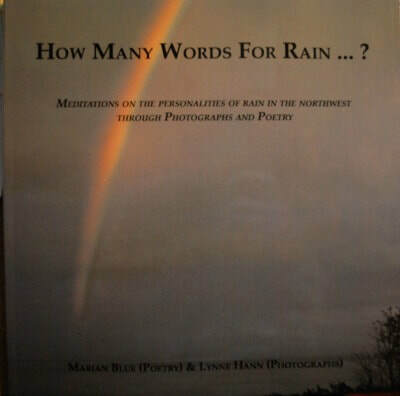 Poetry and photographs explore rain's moods, colors, textures in 80 pages. This is the perfect gift for anyone who loves or hates the rain, who has too much rain or too little rain. This is rain that whispers, that shouts, that splashes through memories. 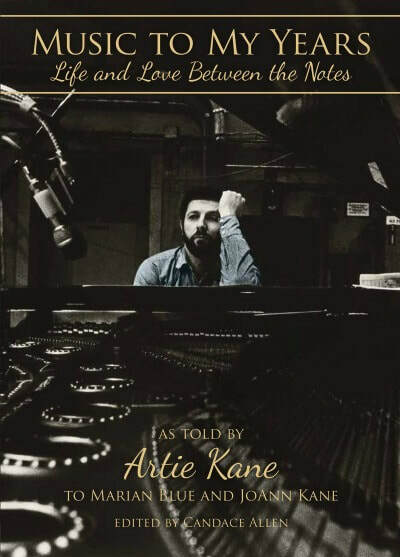 Co-authored by Marian Blue and JoAnn Kane, this book explores how Artie Kane's music has touched and inspired millions of people. In his newly released memoir, "Music To My Years: Life and Love Between the Notes," he captures the romantic as well as the unrelenting perfectionism demanded in the entertainment industry. Mr. Kane conducted scores for over 60 motion pictures, wrote music for over 250 television shows ("Wonder Woman," "Vegas," "Loveboat," "Hotel," "Dynasty," "Matlock," "Question of Guilt," "Man Against the Mob") and seven motion pictures, such as "Looking for Mr. Goodbar," "Eyes of Laura Mars," "Night of the Juggler," and "Wrong Is Right." Artie Kane, with candor and acerbic wit, recounts his quest to find love through eight marriages as he pursued his dreams as a pianist. His memoir is infused with provocative and poignant stories about the celebrities he worked with and gives an insider's look at Hollywood culture, films, and TV shows of the last five decades. "Music to My Years" captures the romantic as well as the rough-hewn and unrelentingly perfectionist sides of the world of professional entertainment. For the love of music, and in quest of love through eight marriages, Artie reimagines his dreams, and with characteristic candor and acerbic wit, proves that the American landscape thrives as a place for misfits who follow their dreams to success. "Music to My Years" is also the story of the ever-changing world of professional entertainment, told by an artist whose talents helped to define the transformative era. This memoir will delight and inform lovers of music, fans of Hollywood culture and films, and devotees of TV shows of the last five decades and resonate with anyone who has pursued a dream or struggled to find true love.